Microsoft has hidden a new downgrade policy within the Windows 10 Anniversary Update: Once you’ve installed it, you’ll only have 10 days to downgrade to an earlier version or build, rather than the 31 days provided before. Historically, Microsoft had given users a full month to roll back any updates, including upgrades to Windows 10. Supersite for Windows reported this week, however, that it was unable to downgrade to an earlier build after a 10-day limit had expired, though it wasn’t exactly clear what builds the limit applied to. “T]his new 10-day behavior is for all upgrades and updates to the Anniversary Update,” the representative said in an email. Why this matters: Just when you thought Microsoft’s aggressive upgrade practices were over—remember all the nastiness about deceptive upgrade tactics?—it appears Microsoft is stealthily closing the Windows 10 escape hatch. Recent Windows 10 converts need to figure out when they upgraded to Windows 10, and whether they want to keep it, pronto. And if you upgraded to Windows 10 just so you could downgrade again? You may need to act fast. I upgraded this PC from Windows 8.1 to Windows 10 on July 28, then upgraded to the Windows 10 AU on Aug. 2. Downgrading back to version 10586 still shows that I have a month (or about Aug. 28) to roll back to Windows 8.1, which is probably still the case. The problem is that the new rollback period is not clearly defined by Microsoft’s own messaging within Windows 10. In fact, it’s not defined at all. In the most recent 14393.10 version of Windows 10 (the Anniversary Update), there’s no time limit attached to the option to go back to a previous build (Settings > Update & Security > Recovery). 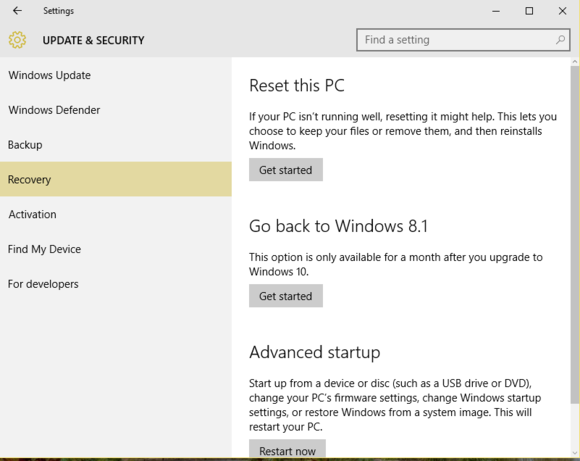 Even after PCWorld rolled back a second PC on July 28, from the Anniversary Update to the older “vanilla” version 10586.494, the Settings menu still shows a month remaining. It’s also not clear whether rolling back from the AU to version 10586 automatically grants more time. Microsoft’s one-year period to upgrade to Windows 10 from Windows 7 or 8.1, free of charge, ended on July 29. 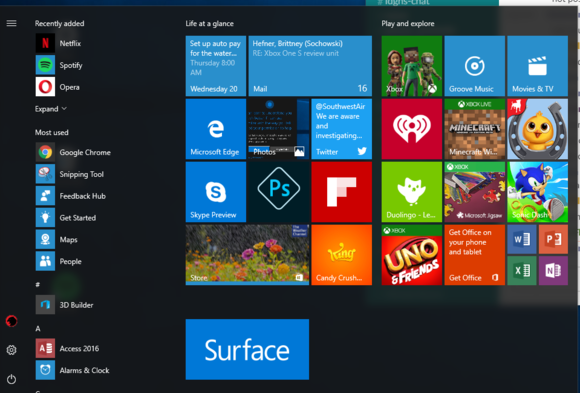 That gave new Windows 10 users just days before the Anniversary Updates began on Aug. 2. Microsoft isn’t doing this to be mean, though. According to a Microsoft spokesperson, the company’s doing this to free up storage space on your PC. Downloading Windows 10, for example, requires about 3GB of space. Some amount of your drive is also used to store recovery files, whether to recover an upgrade or simply roll back to a previous build. The bottom line is this: If you’re an existing Windows 10 user, and not having any issues with the Anniversary Update, you probably don’t need to do anything. We consider it to be a positive step forwardfor Windows 10.If you don’t like it and want to opt out, including going back to a previous version of Windows, it appears that your new deadline is ten days from August 2, or Friday, August 12.